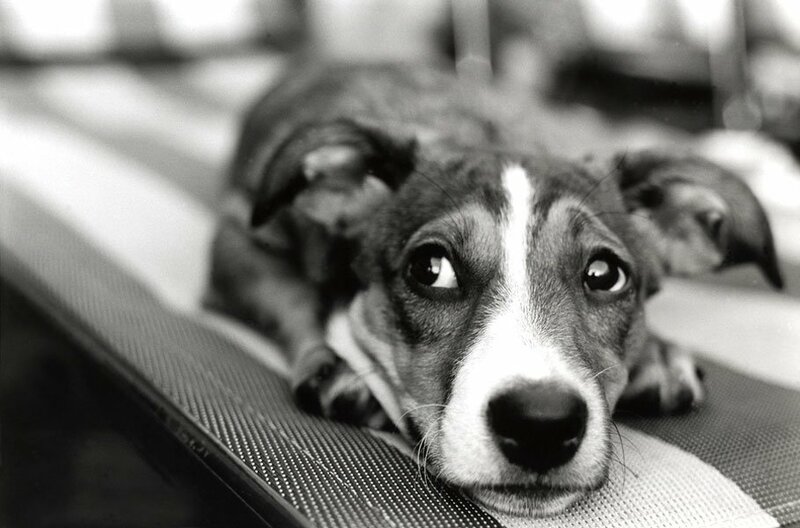 Shy and submissive dogs often urinate in response to stressful or anxious situations. Often, this is indoors, on furniture, in vehicles, or in places that you really don’t want your dog wetting. Instead of punishing dogs for submissive urination, try to understand that it is a behavior that you can curb and resolve with patience and training. Learn to ignore your dog’s submissive urination; don’t reinforce the bad behavior by acknowledging it in front of your pet. Slowly socialize your dog with other people and pets to reduce his stress and anxiety. Get your dog into a basic obedience class as soon as possible. Keep the crate near the door. Position the crate near the door for quick exits. Spend some time sitting next to each other while your dog is leashed. Take your pet on regular walks for exposure to other situations, dogs, and people. This exposure will reduce the stress of unfamiliarity. Avoid uncontrollable situations, like dog parks, until your dog is confident and calm- and until you feel like you both are in control of your dog’s behaviors. If your dog urinates in the house, make sure to put him outside before you clean up the mess. Don’t allow him to see you cleaning up after him. Take him out regularly; create a routine so the dog can feel confident that you will come and let him out to urinate. Use firm commands in a calm voice; walk slowly around him outside when waiting for him to urinate. When you have him outside to urinate, exhibit non-threatening behavior and don’t stare at him when he is doing his business. Wait until he is calm. Wait until your dog is calm before letting him out from the crate. Let him out without talking or making eye contact; make sure that others are consistent with this, also. Ask them to not talk, touch, or make eye contact with the dog when letting him out of the crate to go outside. Keep your voice calm and quiet. Keep your voice quiet and low. Don’t assume that everything is fine; take your dog to the vet to rule out underlying medical issues, like frequent urination which could be a sign of bladder infections, liver failure, and kidney problems. Never punish a dog for submissive or frequent urination. It will not resolve the issue and could exacerbate the behavior and make the situation far worse. Make sure that your dog’s behavior is not a result of an underlying medical condition by taking them to CVETS; this brand new, state of the art Emergency Vet and Surgery center in Columbia looks forward to providing medical consult and veterinary services for you and your pets.